By using InEmergencies.com, you agree to these conditions. Please read them carefully. 1.1.1 "Active Acceptance" means your indication on the Order Form of Your acceptance of the contract. (b) an Authorised Representative of the Vulnerable Member in accordance with clause 1.1.2. 2.1 When You apply to Us for membership, an Order Form will be completed with the Personal Information You provide to Us. 2.2 We will provide the Service and the Order Form will form a legally binding agreement with Us after You have provided Active Acceptance of the contract, and for Vulnerable. 3.1 Each InEmergencies.com item is custom made for each Member. We cannot therefore refund You for any tags or jewelry item if You change Your mind or decide to cancel Your Order. 3.2 You are responsible for ensuring that your product tag(s) is ordered in the correct size and style. 3.3 Once You have placed an order, You may terminate the Contract at any time but will not be entitled to any refund. Contracts may be terminated via your account on the website. 4.1 Any person or emergency professional may activate your InEmergencies.com Emergency Contact List by either scanning your QR Code or by entering your Membership Number on the website. InEmergencies.com will only release the information you have listed as "Critical Medical Information" directly to the individual activating the system after they enter their name and contact information. All other medical related information will not be released without confirmation from one of your emergency contacts. Your emergency contacts are the ones who determine if that additional medical information needs to be sent. 5.1 We do not take any responsibility of the accuracy of the information you add to your account. 5.2 It is your responsibility to maintain and update your emergency contacts and any medical information or medications. 5.3 You understand that the Personal Information You provide to Us can be critical in the event of an emergency and the need to Use our Service. You also understand We can only rely on You to ensure that Your Personal Information is accurate, up-to-date complete and truthful. In providing Your Active Acceptance (and any time thereafter when You update Your Personal Information or place a new Order), You agree that the Personal Information You provide Us will at all times be a truthful and accurate record of the Personal Information You wish to be disclosed to a clinical or emergency professional in the event of an emergency and You acknowledge that We and any clinical or emergency professional to which the Personal Information is disclosed are entitled to rely on such Personal Information. 5.4 When requested by Us, You will check all Personal Information held by Us is current. 5.5 You are responsible for ensuring that the Personal Information held by Us about You is complete, accurate and up to date and You will update your account with any changes to Your Personal Information. You acknowledge that it is Your responsibility to keep Your Personal Information up to date and that Your failure to do so can result in Us not being able to provide accurate information on You when the Emergency Service is called. 5.6 The Member will be the only person who is holding an InEmergency.com card. 5.7 If the Member does not carry a Card or Tag this may delay the provision of emergency medical treatment to the Member, since medical or clinical emergency professionals may not be able to identify the Member's medical condition so readily. The Member acknowledges this and assumes all risks in this regard. 5.8 If You designate a Nominated Representative, We will assume that You have given Your consent to such person to act on Your behalf. 6.1 The price for the Goods (including delivery charges and Tax) and the annual membership fee for the Services will be as set out on the Order Form. 6.2 The membership renewal fee can be paid by direct debit. 6.3 You will need to make payment for the Goods and the Services in US Dollars at the time You Order from Us. 6.4 We will only deliver the Goods or provide the Service once We have received payment in full and cleared funds. 6.5 If You fail to pay the annual membership fee as notified to You, We will terminate this Contract and You will no longer have access to the Emergency Service. 6.6 Additional fees for SMS Text may be charged from your service provider. Please check with your service provider for text and data rates. 7.1 We aim to deliver the Goods to the address You provided on the Order Form within 28 working days of receipt of Your Order Form. 7.2 You will become the owner of the Goods when they have been delivered to your chosen delivery address. Once Goods have been delivered to You, they will be held at Your own risk and We will not be liable for their loss, damage through postage, normal wear and tear or destruction. 8.1 We guarantee that the Goods will be free from any material defects (including errors caused by us on the jewelry) for 12 months from the date of delivery to You. 8.2 If the Goods have a defect within this period, We can choose to either replace or repair such Goods. You will agree to meet the shipping costs. Your statutory rights are not affected by this guarantee. 9.1.1 Our total liability to You whether arising in contract, tort (including negligence), breach of statutory duty and/or breach of common law and/or any other legal basis shall not exceed the amount paid by You to Us under this Contract. 9.1.2 We shall not have any liability to You and/or any third party as a result of the provision of any incorrect Personal Information given to Us; any failure by You to notify Us of any changes in the Personal Information and/or Your failure to carry the I.D. card or jewelry; any failure by a clinical or emergency professional to (i) find the I.D. Card or jewelry on You; or (ii) activate the system with the correct Membership Number. 9.1.3 We shall not have any liability to You as a result of Our delay or failure to perform Our obligations under this Contract as a result of reasons beyond Our reasonable control including but not being limited to acts of God, war, flood, fire, labor disputes, subcontractor or supplier delays or failures, strikes, civil commotion, malicious damage, explosion, governmental actions and any other similar events. 9.2 Nothing in this Contract shall exclude or limit any statutory rights which You have as a consumer; or our liability for death or personal injury due to our negligence. 10.1 For Vulnerable Members as defined by Clause 1.1.16(a), but not as defined by Clause 1.1.16(b) this Contract will continue till the expiration/renewal time. 10.2.2 breach the Terms and Conditions of this Contract (and, if remediable, the breach has not been remedied within 14 days of receiving notice requiring it to be remedied), including, for the avoidance of doubt, if You provide any inaccurate Personal Information. 10.3 You may terminate this Contract at any time by deleting your account. 10.3.2 We shall have no liability to You and/or any third party resulting from Our removal of Personal Information at Your request. 10.4 You acknowledge that in the event of termination of this Contract, and in particular should You continue to carry InEmergencies.com items, We have no duty to You, as to the provision of the Emergency Service or the maintenance of your Personal Information. 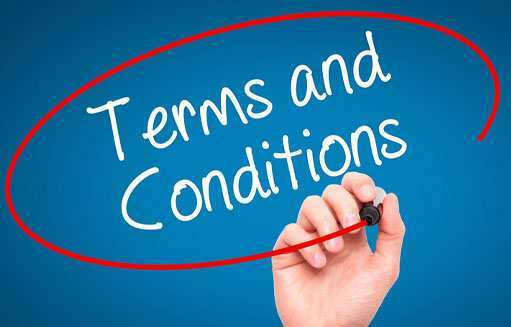 11.1 The Contract (including these Terms and Conditions) contains the whole agreement between You and Us. You confirm that You have not entered into this Contract on the basis of any representation that is not expressly incorporated into this Contract. 11.2 If any provision of this Contract is unenforceable, it shall not affect the enforceability of the remaining provisions of this Contract. 11.3 This Contract is governed by US law and You and We submit to the exclusive jurisdiction of the US courts. Being a retired paramedic, this system can save a lot of lives. This would have made our jobs so much easier. Great system, a must have for my two collage kids.